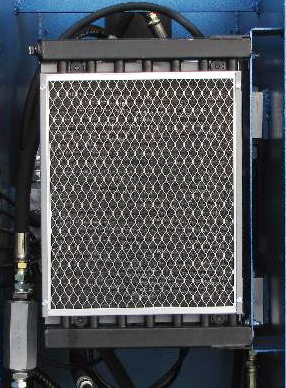 The second most common cause of hydraulic system failure or malfunction is system overheating. The top cause of failure and malfunction is the existence of leaks. In order to engage the mechanical deficiencies associated with a malfunction, you must first understand the dynamic involved. When it comes to leaks the dynamic is extremely simple, making it is easy to understand and address. However, the fact that overheating can result from multitudinous sources, it can be somewhat more ambiguous when attempting to understand its dynamics. Investing the time and effort required to understand the causes of overheating will be a tremendous help in the effort to prevent it. An elevation in the temperature of hydraulic fluid is a result of particular deficiencies in the equipment. The deficiencies subsequently reduce the input power of the press, subsequently resulting in a rise in temperature and the energy loss is converted into heat. The system overheats when the rate at which escaping energy converts to heats exceeds the rate at which the heat is being dissipated. In other words, when the temperature is rising at a rate that is higher than the system’s capacity to reduce heat, the system will over heat. When assessing the issue of an overheating hydraulic system, the first step that must be taken is to evaluate the quality of the equipment in use. The most effective way to ensure that you have a high quality press is at origin, meaning that you should purchase your press from a highly reputable hydraulic press distributors. It is immensely important to have a strong knowledge of the heat threshold of hydraulic fluid. Failure to maintain the proper temperature will minimize the functionality of the fluid. Anytime that the temperature of hydraulic fluid exceeds 180 degrees F, the potential to damage the seal compounds increase drastically. This can lead to leaks as well as negatively affect the fluids viscosity, which will result in fluid degradation. If this process of degradation is not corrected, the system will continue to negatively impact the efficiency of the system, creating a cycle in which the system will continue to overheat, subsequently resulting in more degradation. When fluid loses its viscosity it will also lose its ability to protect against heat that is generated by the friction of moving parts, further exacerbating the matter. Simply put, in order to avoid overheating, the system must be functioning at an efficiency level that allows the press to put off more heat than what is being generated. For example, an hydraulic press system that has a constant input power of 100 kw while performing at an efficiency rate of at least 80 percent would require a minimum of 20 kw capacity to offset the heat load. This means that a system that is coded to offset a heat load of 25 kw would become overheated when the heat load exceeded 25 kw. The most effective way to ensure that a hydraulic press system does not overheat is to properly maintain the system on a regular basis. Regularly changing out worn parts as well as changing out degraded fluid. The key is to maintain a high level of efficiency. The more efficient the system the fewer issues you will have with overheating. Contact RK Machinery to let us help you get the best hydraulic presse for your job.